For thorough dental cleanings and checkups in Kennesaw, you can trust the professionals at Kennesaw Mountain Dental Associates. We are a comprehensive, family dental practice serving the community of Kennesaw as well as the surrounding areas. We deliver top quality dental care in a warm and caring environment. Preventative dental care including dental cleanings and checkups are vital to maintaining good oral health and can help to prevent problems such as tooth decay, gum disease and tooth loss. The dentist and staff at our dental practice are committed to helping our patients achieve a beautiful smile and healthy teeth and gums. By establishing trusting and respectful relationships, we enthusiastically educate our patients for a lifetime of good overall dental health. If you live in Kennesaw, Georgia and are in need of a dental checkup for your family, please all Kennesaw Mountain Dental Associates today to schedule an appointment. Our checkups include a thorough cleaning performed by a dedicated dental hygienist. During dental checkups, our dental hygienists educate patients on how to care for their teeth and gums to promote good oral health. 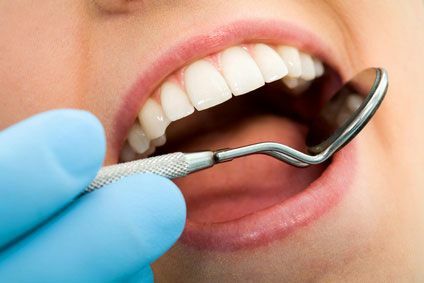 After your teeth have been cleaned, our dentist will check your teeth and gums to look for signs of dental decay, gum disease, oral cancer and other problems. If X-rays are needed, they will be taken using state-of-the-art radiation reducing digital x-ray technology. Families in Acworth can rely on Kennesaw Mountain Dental Associates to provide dental checkups as well as a full range of general, restorative and cosmetic dental services. Our practice is currently accepting new patients and we accept most dental insurance plans. For your convenience, we also accept credit card payments and offer financing options through Care Credit. Please contact our Kennesaw Dental Cleaning Professionals today to schedule an appointment. We look forward to meeting you and to helping you achieve your best smile!